The use of aromatherapy, especially in combination with massage, can be extremely helpful for individuals (all ages) suffering from any kind of handicap. As I said before, touch transgresses everything as do the essential oils. They reach into the very deepest part of a person to balance and sooth. I want to tell you about Jane, one of my clients some years ago. She was, at the time, aged 24 and suffered from hypotonic cerebral palsy (CP). She was living at home except for some holidays and her parents were wonderful and loving people, doing all they could to make her comfortable. Jane was in a wheelchair, unable to move at all which had, over the years, made her skeletal structure crooked and brittle so she had been through surgery a few times to be able to stay in the wheelchair. She had no communication-possibilities at all since she had no control over her face or body. Her respiratory system was very weak resulting in repeated bouts of pneumonia when she would have to spend time at the hospital. Her digestive system was also weak, and sometimes she wouldn’t take nutrition so then she would go to the hospital for feeding. She was also given medicine to help with the cramping. Together with her mother, we massaged her hands and arms, one hand each. Soon she started relaxing her fists, allowing her hands to lie open in her lap. Once the hand-massage was finished, the hand massaged by her mother stayed relaxed and open longer. I then massaged her legs, showing the mother how to enhance circulation. By this time Jane was meeting my eyes and her head was stiller. I just had this flash that she was suffering from headaches (constant gnawing of her teeth) so I asked her. Tears started rolling down her cheeks and I made an oil-blend for her face and neck which I massaged her with; feeling the tension leave her head as I massaged her scalp. In a blend of 25 ml veg.oil blend + 5 ml of infused Teebalm (monarda fistulosa) + 3 dr of Neroli (citrus aurantium ssp amara var. pumilla). I showed her mother and father the massage and made oils for them to use: Massage of legs, feet and stomach every morning, massage of face, head and hands 3-5 times during the day. A month later I visited again and Jane, was visibly happy to see me again. She basically stayed with the oil-blends above with small changes in the essential oils to help with circulation and relaxation. When I left Sweden I referred her to another very good aromatherapist in the area. Jane is still doing fine on the oils, her life (and that of her parents) a little bit easier. Over time her respiratory and digestive problems have lessened with a lot less traumatic days in the hospital. Her movements are involuntary, which makes the observations very interesting, proving that massage (and) essential oils have an impact on the central nervous system. I have quite a few children brought to me for different reasons, ranging in age from 5 to 16 years old. There are plenty of reasons why a child / adolescent would need to see a therapist not least because of stress. Growing up is not so easy and there are so many different signals and pressures in a child’s life to make it confusing. At different points in life we need different back-ups – I am one. 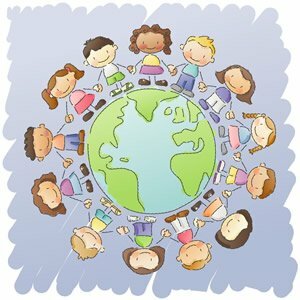 Today I want to tell you about one child in particular – with the permisson of his parents. I will call him Joe. Joe’s parents brought him to me when he was 11 yrs old. He had been vaccinated with the rubella-vaccine while he had a cold and after that he had slowly slipped into a non-communicable state. He would not make eye-contact, hardly played, very quiet, disappearing into himself when spoken to. He was hunched over with his arms across his chest, facing the floor. His whole posture screamed of protection and tuning out the world. He was failing badly at school and his condition just seemed to get worse. His parents had tried everything; doctors, psychiatrists, nutritionists, homeopathy…to no avail, he would not connect with anybody. When they asked me for help I told them that we could try, but there are never any guarantees in my line of work. Still they wanted to give it a try. The first time I met Joe he would not meet my eyes or talk to me. Trying out oils for him would not function in the normal way and, of course, I could not get close to him or touch him. So we set up a meeting where some of his friends from school would be around and I joined them in their games. By doing this I could get some connection to Joe and through this connection choose oils for him. The oils that came to me were: Angelica (angelica archangelica), Frankincense (boswellia carterii) and Orange (citrus sinensis). I blended these essential oils in vegetable oil for the parents to massage him every evening before bed during one month. When I saw him one month late he was much changed. He carried himself straighter, met my eyes for short moments and would even play with me and the other kids. He was curious about the oils and watched me intently when I chose “his” oils. Still he would not take part in the choosing. The moment I talked to him or tried to connect, he would withdraw into himself. This time the oils chosen were: Patchouli (pogostemon patchouli / p. cablin), Cypress (cupressus sempervirens) and Mandarine (citrus reticulata) again they were blended in vegetable oil for the daily bed-time-massage. One month later he was like an extremely shy boy; the school had commented on his positive changes. He even played the flute on stage with the other children at school. His parents were very happy. He would look at me and talk to me, but refused to choose oils, though he was definitely curious. 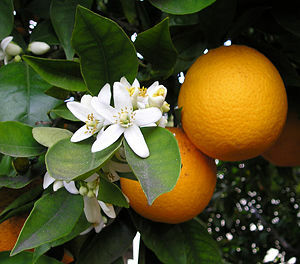 Oils chosen were: Vetiver (vetiveria zizanoides), Mandarine (citrus reticulata) and Rose absolute (rosa damascena). Blended in veg. oil. Same procedure with the evening massages, but this time for a 3-month period as I felt he needed to “land” in himself with the help of one oil-blend. The 4th time I saw Joe, 3 months later, he was good. He was like any boy; back straight, met my eyes, talked and chose the oils himself. He was doing much better at school; both in his work and connection with other children. He had started to play football. He told me that he loved the oils, that “they made him feel safe so he didn’t need to live in his box”. (his words) The oils he chose were: Bergamott (citrus bergamia), Rose otto (rosa centifolia), Benzoin (styrax benzoin). Blended in veg. oil. Same procedure with the massage at bedtime. At this point I terminated the treatments of Joe, telling him that he could come back anytime he wanted but that he didn’t need me anymore. Joe was very proud. A little more than a year later, Joe came back since he wanted some oils just for the times he felt low. He chose: Patchouli (pogostemon patchouli / p.cablin), Orange (citrus sinensis) and Elemi (canarium luzonicum /c. commune) blended in veg. oil. Last year (almost 4 years later) I saw him at a fair, helping children climb a pile of crates. He looked so strong and happy, next to him stood his girlfriend. There are so many different ways to use essential oils, depending on what result or effect you are looking for. When it comes to mood-enhancing, this will happen whatever way you use the oils, since they enter your system. Even if you have lost your sense of smell, the oils will have an effect on your moods and feelings. Important: If you are sensitive, always use lower doses. You can also test the oil by rubbing a drop of essential oil mixed in vegetable oil onto the inside of your arm. If it itches or turns red, lower the dosage even more or avoid that essential oil/blend. Don’t ever use pure essential oils on your skin. Our sense of smell gets quickly used to a new scent and we don’t smell it anymore. This might make some people use higher doses than necessary. If you are not sure about the scent – leave the room, breath some fresh air and come back. Room fragrance: You can use an electrical aroma-fan which diffuses the oils without heating them – this is the best way to disperse oils in a space, especially to clear the air from bacteria. Aroma-burners use a tea-candle (heat) to disperse the essential oils, this is excellent for fragrance and mood-enhancing. Aroma-stone is an electrical appliance that disperse the oil with the help of heat without using a candle, better to use in childrens room or such. When heated, the oils loose some of their antiseptic qualities, so they are not as effective in, for example, a sick-room. Tips: If you don’t have an appliance you can drop your essential oil onto a tissue or cotton-ball and lodge by the radiator – make sure there is no risk of fire. Or you can use a bowl of hot water in which you drop your oil. Dosages: In a small to medium room or a childs room use 2-4 drops. Do not refill more often than once an hour, especially in childrens room where you would also use fewer drops. In a large room you can use up to 10 drops. Bathrooms are easily scented by dropping a drop of essential oil in the wash-basin and rinse it out with warm water. Some people use scented pot-pourri, you can easily scent it with essential oils instead of synthetic fragrance. There are plenty of ways to use essential oils as air-fresheners, room scents etc. Use your imagination and enjoy. Baths: Pure essential oils are irritating to the skin and mucous membranes so you need to mix them in something since they do not disperse in water. You can mix them in vegetable oil, unscented soap or body-lotion. You can also use cream (like Cleopatra). Soap, lotion and creme will mix the oils with the water – just swish around – vegetable oil will lie on the surface. If you want bubble-bath use the soap! Always add the essential oils when bath is ready. Dosages: 5-10 drops of essential oils in a carrier. For children 2-5 drops in a carrier. If bathing a child in a smaller bath, use only 1-2 drops in a carrier. For babies; avoid essential oils unless a certified aromatherapist has given you advice. Skin-care: Essential oils are wonderful for skin-care. You can mix essential oils in any un-perfumed lotion, soap, shampoo, conditioner or creme. Try using as natural products as possible to maximize the effect of the essential oils. Dosages: 10-20 drops of essential oil to 100 ml of lotion, soap, shampoo, conditioner. 2-5 drops of essential oil to 50 ml of face-cream. Tips: Always start with the lower dosage; it is easy to add more if you like. This way you can control the strength of the scent. Lavender (lavandula officinalis, lavandula augustifolia) Wonderful calming and relaxing oil. It is a very good oil for skin-care; dry skin, acne, irritations etc. Helps heal small wounds and burns. Excellent after-sun if burned, use with Aloe Vera gel. If you have problems falling asleep, lavender can help you. Take a lavender-bath before bed or use it as a room-fragrance. (Tips: put one drop on the front of you pj’s or by your pillow when you go to bed.) When there is stress, worry, anxiousness or fear; lavender is calming to the mind. Place a few drops on a tissue and inhale from it. Lavender is a wonderful oil for children; skin, fretfulness, problems sleeping. Wonderful for childrens baths and room-scenting. OBS: use low dosage on children – max 2 drops for sleep – higher doses tend to have the opposite effect. Orange (citrus sinensis) Uplifting to the spirit and safe to use also for children. It brings sunshine into our souls. If really low and unhappy, orange is wonderful to use. It is a versatile skin-care oil especially for oily skin and acne. OBS: orange essential oil is sensitive to oxidation and stays good only about 6 months. If the oil is cloudy, don’t use it. Once it is oxidized, it becomes a skin-irritant. Rosewood (aniba roseodora) Calming and strengthening in character it is a wonderful oil that is safe to use also for children. It helps when there is insecurity and depression, anxiety and mood-swings. Excellent skin-care oil especially for dry, mature skin and acne. Bee Balm (monarda fistulosa) Tonic, up-lifting and releasing for the emotions and spirit. Balances when there is slight hysteria. Useful for oily skin. Geranium (pelargonium graveolens) Balancing oil which is highly useful when there are mood-swings, irritation and PMT. Good general skin-care oil balancing for most skin-types. Frankincense (boswellia carterii) Relaxes and deepens the breathing. Good when there is anxiety and stress. Opens the mind to meditation and quietens inner chatter. Good for oily skin, mature skin and acne. Ylang-Ylang (cananga odorata var. genuina) Euphoric in nature, this oil lifts the spirit and creates a sense of euphoria. Do not use when concentration is needed. For some people it can help when there is a problem with falling asleep – especially when the reason is mental worries. It is extremely helpful when there is anger. In skin-care it is especially useful with oily skin and acne. OBS: The scent is very strong and can, in higher doses, give head-ache and/or nausea. Use with care. Essential oils are wonderful mood-enhancers. I have many clients experiencing depression and anxiety from stress. While stress takes time to balance, the emotions involved can quite readily be helped with essential oils. Usually the scents/blends I use for people are chosen specifically for them and then used in a massage. This way the system is programmed for relaxation from this specific blend. I have found this to be an effective way to “open the door” for further work with stress. An overloaded system and/or brain can not assimilate information…this is one of the reasons the downward-spiral of stress is so debilitating; handling stress comes from knowledge and conscious choices. You learn to handle stress, it doesn’t just happen. When stressed or depressed we are very bad at helping ourselves. Even if we know how to do it, we don’t manage to do it. Everything is too much, and nothing feels very important anymore. The only thing we feel we can do is close our eyes and hope for it all to go away. This is where the brilliance of essential oils come in: It is actually enough to open the bottle and inhale deeply from it to feel some release. When I say inhale, I mean inhale. Take a deep breath and bring the scent of the oil as deep into yourself as you can. Close your eyes while doing it, and feel what happens to you. This is the simplest and most basic way of using an essential oil for mood-enhancement. You can also put a few (3-5) drops on a tissue or handkerchief and carry it around with you for use during the day. Since essential oils are volatile, you might need to refresh the oil after a few hours. The choice of oil is individual. It is all about what you feel. Smell essential oils and see what they do to you. Remember that your system usually can handle only about 5 different oils at a time, then it is suffused. Go outside, breath some fresh air and then you can smell some more. This, of course, is highly individual. Cedar (cedrus atlantica) Warming and calming. Cypress (cupressus sempervirens) Strengthening and balancing. Frankincense (boswellia carterii) Uplifting, deepens breathing, meditation. Myrrh (commiphora myrrha) Warming and emotionally healing. 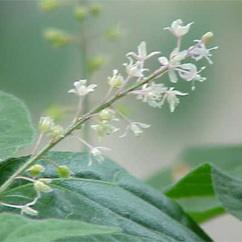 Benzoin (styrax benzoin) Warming, euphoric, calming, protecting. Geranium (pelargonium graveolens) Very balancing when there is also anger, frustration or irritation. Lavender (lavandula officinalis / augustifolia) Wonderfully calming when there are also sleeping-problems. Citrus oils are uplifting and refreshing. They also blend well with the above-mentioned oils. Citrus oils carry sun-energy and this can be helpful during the wintermonths. Orange (citrus sinensis) Sweet, uplifting. Mandarin (citrus reticulata) Sweet, helps the inner child. Rosemary (rosmarinus officinalis) Uplifting, clears the mind, stimulating. Note: Essential oils are not drugs. They work with the body. If your system is exhausted and you need to sleep, even the most stimulating oil will not keep you alert. Also note that if depression is severe it is good to bring in some stimulating oils (citrus, rosemary) since the more calming oils can enhance depression in higher doses. The label should also say 100% pure essential oil. WARNING: Essential oils are highly concentrated and can be irritating to the skin and mucous membranes. Do not use them internally, do not use neat on skin, keep away from eyes, children and pets.